Nepal has been declared as a secular state. All religions have been treated equally. No religion is smaller or bigger. The main religions are Hinduism, Buddhism, Islam, and Christianity. It is the most followed religion in Nepal and also the oldest religion in the world. This religion is based on the philosophy of the Veda, which is the oldest religious epic of the world. There are four Vedas namely Rig Veda, Sama Veda, Atharva Veda and Yajur Veda. Bhagawat Gita, Mahabharat, and Ramayana are the major holy books of Hindus. Hindus worship different gods and goddesses. The main gods of the Hindus are Brahma, Vishnu, Shiva, and Durga, Laxmi, Saraswati, Hanuman, Ram, Ganesh are the other gods and goddesses worshiped by the Hindus etc. Buddhism is the second mostly followed religion in Nepal. 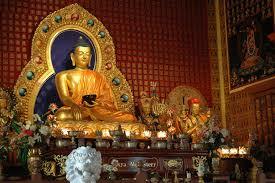 Buddhism was founded by Gautam Buddha, who was born in Nepal in 563 BC. Even though he was a son of a king, he sacrificed all the comforts and left palace one day in search of a solution to pain and suffering. After he got enlightenment in Gaya, he found out four noble truths. 'Tripitak' is considered as the holy book of the Buddhists. 'Jataka Katha', which is also a holy book contains a collection of stories of teachings that Lord Buddha had given to his disciples. 'Tripitak' is the collection of stories about the teachings which Lord Buddha had given to monks, philosopher, and common people. Islam was founded by Prophet Mohammed. He was born in Mecca in Arabia in 570 AD. The holy book of the Islam is Quran. They go to the mosque and read Namaz rather than worship idol or statue. 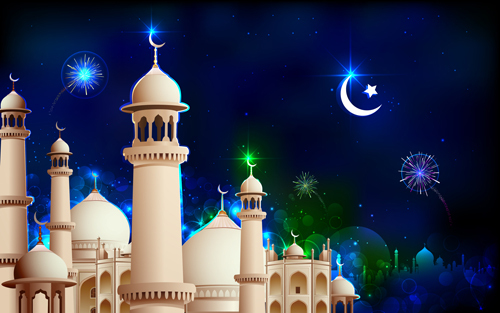 The Id is the main festival of Islam. They give donations to the poor people which is called 'Fitra'. Jesus Christ is the founder of Christianity. It is a major religion all over the world. Jesus Christ was kind, simple and religious minded since his childhood. He wanted to free people from injustice and pain. He called God as father and himself as the son of the god. He was very famous among the people. The Jewish and Romans became jealous of him and crucified him. The holy book of the Christians is the Bible. It contains god's love for living beings and the life and teachings of Jesus Christ. The Sikh Religion was founded by Guru Nanak during the 15th century. Guru Nanak preached a message of love and understanding and criticized the blind rituals of the Hindus and Muslims. Guru Nanak passed on his enlightened leadership of this new religion to nine successive Gurus. The Sikh religion today has a following of over 20 million people worldwide. Sikhism preaches a message of devotion and remembrance of God at all times, truthful living, equality of mankind, social justice and denounces superstitions and blind rituals. The Guru Granth Sahib is a collection of the Sikh Gurus' writings that was compiled by the 5th Sikh Guru). 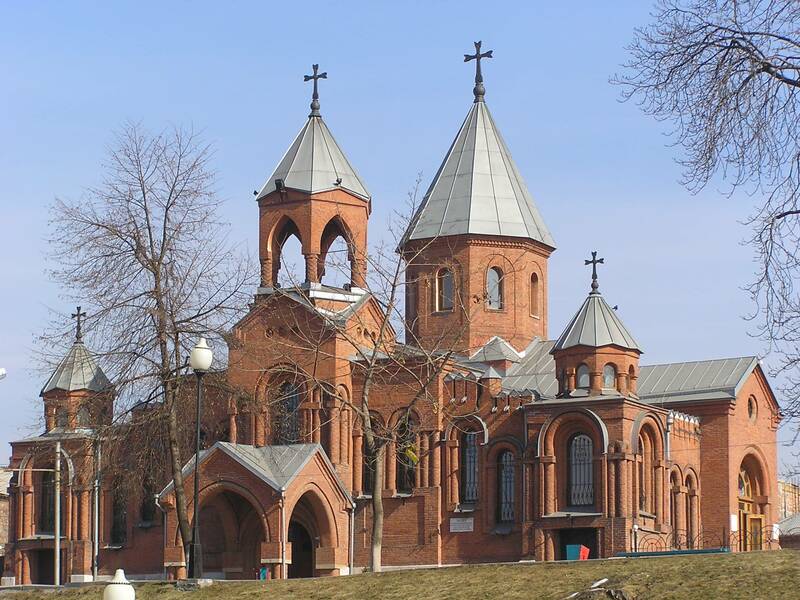 It is the fifth-largest organized religion in the world, with approximately 30 million adherents. 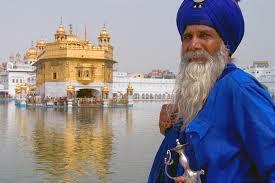 Punjab of India is the only state in the world with a majority Sikh population. The main religions of Nepal are Hinduism, Buddhism, Islam and Christianity. 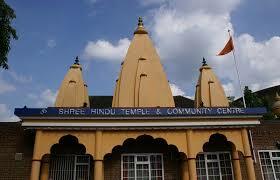 Hinduism is the most followed religion in Nepal and also the oldest religion in the world. Brahma, Vishnu, Shiva Durga, Laxmi, Saraswati, are the gods and goddesses worshipped by the Hindus. Buddhism is the second most followed religion in Nepal, founded by Gautam Buddha where people worship Buddha at stupas and gumbas. Islam was founded by Prophet Mohammed. They go to the mosque and read Namaz rather than worship idol or statue. Jesus Christ is the founder of Christianity. The holy book of the Christians is the Bible which contains god's love for living beings and the life and teachings of Jesus Christ. What do you understand by secularism? When was legal recognition to secular state given in Nepal? Secularism refers to a doctrine that the organization of society, army, police, political party, education, etc. and other matters of the civil policy should be run and conducted without the intervention of religion. This idea was manifested in Janandolan II. The House of Representatives reinstated through Janandolan II 2062/2063 BS, proclaimed a historical declaration on Jyeshta 4, 2063 BS. The declaration has provided recognition to secularism in Nepal. Part 1, article 4 of the interim constitution of Nepal 2063 has invented Nepal as a secular state. Why was our country Nepal declared a secular state? Write with proper logics. Nepal is an independent, indivisible, sovereign, and secular and fully a democratic country. All the people here have their particular culture, religion, tradition, etc. previously our country was a Hindu kingdom. To bring equality over all the religions, the state declared Nepal a secular state. Nepal was declared as a secular state to bring or make it full-fledged democratic country. Prepare a speech with the title 'right to religion is the fundamental rights of a person'. The interim constitution of Nepal, 2063 has declared and managed that the right to religion is the fundamental right of a person. It has given the primary priority to the right to religion. Secularism is necessary for Nepal because Nepal is a multi-linguistic, caste, religion, culture and so on country. Every citizen has the right to preserve his own culture and follow the religion being followed traditionally. Every citizen has the right to change the religion on his own desires but not with fear, grid and pressure. As mentioned in the interim constitution of Nepal-2063, no one will be badly affecting the people of other religion in the name of religion-rivalry. At last, all the people are free to follow, charge, preserve and run any religion. Only this much for today, I would like to stop my speech. Thank you very much. To make the Hindus extremists understand about the secularism and religious tolerance, write in four points. Armed activities are not the solution of the problems. Superiority and inferiority will not be in religion. Every religion is equal. Being extremist in religion means to be violence-oriented, so it must be avoidable. What are the four noble truth of Buddhism? There are misery and suffering. Misery and suffering are caused by people's desire, greed and attachment to materialistic things. The misery and suffering can be stopped. The misery and sufferings have a path that leads to its end through morality, meditation, and wisdom. Why the symbols and images of gods are worshiped by Hindus? Hinduism is a religion which is taken as the oldest living religion. Unlike other few religious it was not founded as the way it was done through teaching of one person. It believes on Brahma who is the supreme creature. We don't know about which form, where his presence is. He was hardly seen and he was like an abstract form. This made the people of the Vedic period worshipping of images and symbols to represent Brahma. Until now people use such day made stone brass or others forms of images and idols to worship god. Noble truth of Buddhism: - The four noble truths of Buddhism are Misery or suffering, Misery and suffering are all caused because of people's greed and desires these suffering and miseries can be stopped, and the last noble truth is there is path to the happiness of nirvana. List out eight-fold paths of Buddha. The acquired knowledge from the character of better-disciplined male Ram affects our life positively. Describe it. In the context of Hinduism, our religion dates back to the oldest period. We are easily affected by its norms and values holy books and their stories, etc. Our holy books have different unique features with ideal religious characters. They are always dear and model for the whole people of the respective religion. In one of our holy book, called the Ramayana, there is Lord Ram as a central character who is the protagonist of all. We know that since our childhood whoever he dealt with whether his father, mother, teachers, superior or inferior ones, his impression was always high. His politeness, truth, patience, respectfulness, love and sympathy and consolations were true identities. A male within the periphery of the jungle didn't lost his passion for making rid of Sita from there. His discipline and mode character is a representation of a human being. He was always dear and loving to the younger ones and always, loyal and respectful towards the parents, elders and the teachers. It’s the matter of pride and glory to the entire brother in getting such an ideal brother. Which caste celebrate damji as their main festival? How is relation betwwen Nepalese culture and painting? In which Veda, song and raga were developed? Buddha was born in _____. Which of the following is not the Eight Fold Paths shown by Buddha? The holy book of the Islam is ______. Islamic give donations to the poor people which is called ______. Light of the Asia is ______. Light of the world is ______. What does secular country mean? Which religion is majority in Nepal? Which religion is minority in Nepal? Which religion is majority in the world? Which religion did not have a prophet who preached about that religion? The oldest Hindu book is ______. According to the myth, when does Lord Vishnu appear on earth? Which is not a Hindu god? Which is goal of a Buddhist in life? How many sacred books do Buddhists have? Which is not one of the 8-fold paths? What do people of Islam not do? Where is the birthplace of Jesus Christ? What did the Romans do to Jesus Christ? Any Questions on 'Our Religious Tradition '?